Ben Jeapes, Jeapes Japes. Wizard’s Tower Press, 2011. ISBN 9781908039057. £4.99. 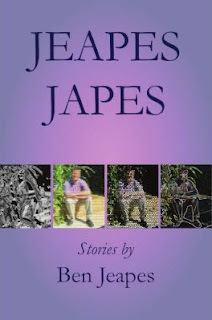 Jeapes Japes is a diverse collection of short stories from author Ben Jeapes and published via Wizard’s Tower Press. The narratives range from horror and fantasy to deep-space science fiction, and further interweave the author’s humour with canny story-telling and imaginative plot-lines. 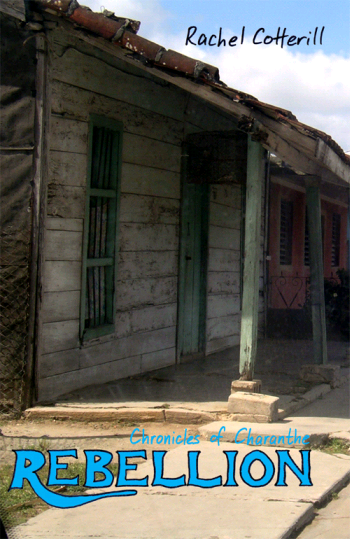 There are seventeen stories in the collection and the author interleaves each story with a brief afterword which goes some way to provide the story context and background. The stories contained in the collection generally find the characters tending to merely support the novum of the story, rather than being the centrepiece of the tale. The tales therefore better present ideas rather than uniquely interesting characters, and after each the reader dwells more on the notion presented than the personalities. While in some genres this might not work, Jeapes Japes here instead feels like an impressive patchwork of different ideas, each rich with bubbling creativity and often sharp humour. Another element of the work that stands out is the diversity of genres the author explores. While many stories do overlap, for this review I felt it prudent to group the seventeen titles into four groups: Horror, consideration of Artificial Intelligence, Time Travel and simply ‘Ideas’. While there is such a diverse range here, the stories melt together beautifully as Jeapes’ humour, logic and eye for originality sweep through the collection. The collection begins with ‘The Data Class’—a story where a sentient artificial intelligence reads, comprehends and decides to act upon the works of Karl Marx. It’s an intelligent, well written and clever narrative that superimposes Marxist theory within a future cyber-world. Such superimposition also works well with ‘Digital Cats Come Out Tonight’—the ‘cats’ are essentially anti-virus programs within an apartment-block computer system. The mice and other creatures are forms of an artificial intelligence virus. The story draws satirical correlation between the real and the digital in an intelligently simplistic and readable way. ‘Memoirs of a Publisher’ explores another means into which intelligent artificial intelligence might involve itself in a human world. It’s a clever and subtle take on discrimination and work ethics, placing such themes in a futuristic cyber-environment. ‘Crush’ is a rather chilling tale of obsession. This time the protagonist of the story is the focus of a high-functioning AI’s obsession. While this online/offline blurring is clearly a common theme in Jeapes’ work it is never as intimate, and subsequently daunting as it is in ‘Crush’. Jealousy, obsession and incarnate rage are all wonderfully snippeted in this brief tale, and it struck me as one which could be easily expanded upon. Finally in this section, ‘Jacqui the Giantkiller’ tells the story of sales person Jacqui who must get around sentient household gatekeepers. A solid sales anecdote about thinking outside the box in order to gain new customers, it’s a clever take on changing marketing models within a world using more and more technology. Psychologically one might place ‘Crush’ almost as a form of horror, such is her cold pursuit. However the collection has more stand-out horror titles within it. ‘Getting Rid of Teddy’ was my favourite, and one of the collections highlights. It is a story of a supernatural relationship between a boy and his teddy. Using a young child is an oft-used trope in horror but it is certainly effective here. The tale features a particularly chilling finale, and blends family tension, the supernatural and religious intolerance. In ‘The Grey People’ protagonist Malcolm is haunted by creatures only he can see. Attacks affect his memory severely debilitated. In short story form it provides a brief snapshot of Malcolm’s troubles and I felt in many ways it might also provide an alternate narrative of mental illness. Time travel is another science fiction genre Jeapes delves into on occasion. It also presents, possibly the collections stand-out story, ‘Pages Out of Order’. It is a superb example of how science fiction can be used in the most innocuous of situations, indeed it is not until the end of the story the reader is allowed to understand the reasons for protagonist Tom’s sudden confidence and attitude. It could perhaps be argued that short stories can either provide platforms for specific ideas to be notionally expressed, or a brief exploration of a much bigger novum. ‘Pages Out of Order’ felt like the latter and I would have thoroughly enjoyed a novel of the same idea. ‘Correspondents’ are futuristic human drones sent back in time to record historical events of varying impact. Our protagonist is confronted, in 16thc England, with a rogue correspondent who interferes with the course of history by torturing a Catholic priest, himself a torturer. In just a few pages it produces a wide range of ethical, religious and moral arguments that could easily be expanded. As it is ‘Correspondents’ is a fine short story, but also demonstrates the essence of limited character analysis in many of Jeapes’ collected stories. You grasp the idea—a time-travelling chronicler of events, in addition to the rogue correspondents dilemma in wanting to interrogate an interrogator, but these characters lack the depth you would see in longer works. ‘Winged Chariot’ is a further time travel tale, this time about a man who treats people from a Cornwall village with futuristic medical treatments. It also discusses well-known time quandaries such as time-stream collapse, in addition to the ethics of medical treatments. It is a fascinating story, very well written and a great example of short story writing in that it takes a relatively short snapshot and fills it with rich description. Medical ethics is arguably a topic also contended in ‘The Robson Strain’, and the way I’d like to shift into the much wider subheading of Ideas. Although ‘The Robson Strain’ is well written it perhaps fails to grab the reader in the way the other stories do. It deals with topics such as animal testing and unethical medical practices and, while it makes the kind of scary predictions you see in much experiment-gone-wrong science fiction, it arguably doesn’t punch hard enough in so few words, seemingly desperate for a longer consideration in fully-fledged novel form. ‘Spoilsport’ raises the notion that pettiness can infuse even the most intelligent of post-humanity, proposed by the sibling rivalry between a brother and sister. The story, despite having a science fiction setting, is more about the relationship between the protagonists rather than an obvious novum. In this case the moralistic takes centre stage as neither character warrants much sympathy. ‘Cathedral No. 3’ is a simple, yet wonderfully described piece which momentarily explores theology, religious piosity and privilege within an intimate post-nuclear setting. The story aptly demonstrates Jeapes ability to spin a situation on its head and integrate alternate discourses which easily expound the tales setting and enter a more contemporary social space. ‘The Fireworker’ is a seething anti-hero narrative regarding a con man that controls magical crystals. Placed robustly in a kind of medieval fantasy setting, the story challenges the reader throughout to sympathise with a thoroughly dislikeable rogue. It’s all deliciously contentious, but I get the impression from his afterword that Jeapes enjoys writing this kind of narrative. ‘Trial by Alien’ is arguably where the author’s humour shines through brightest in this collection. It’s an almost farcical courtroom drama which plays upon differences between humanity and an alien species. This is one of the few short stories which has an older, and more complete, sibling novel, and something I’d be interested in reading myself. The atmosphere changes suddenly with ‘A Holiday on Lake Moskava’, an alternative history story that proposes that Hitler had received more sympathy from other European states. The story is set modern day, with the protagonist a spy in a relationship with a young Russian aristocrat. While the tale is again well narrated and intriguing, it feels somewhat out of place amongst the quirk-filled humour of the other ‘japes. A much more serious affair, it still bites with sharp writing and far bigger ideas than the few pages it takes up can contain. Finally the collection returns to a recurring thematic: blending serious subject matter with a far lighter twist, in ‘Go with the Flow’, is a story about a sociology-by-number theorist and based upon an interview as to why he dedicated his work to his Gran. A story that moves the reader perhaps more than other stories contained in the collection, it remains a funny and interesting narrative. The stories leap sporadically from one genre to another, without flow or warning and yet they still somehow all work so well together. A reader gets far more from the ideas and suggestions each story creates, than from the characters themselves which are never really explored to much depth. This augments Jeapes Japes as the classic SF short story writing that gives each tale a striking novum and characters far more incidental to that central idea. Indeed it is not the characters that stay with you when you put the book down, but the rich and exciting ideas that burst from this collective library of short stories.